Bulk carriers, also called “bulkers” in their “modern” definition could be quite ancient, applied to all ships and boats that carried unpackaged cargo. This is still the definition today, and bulk carriers makes 15% to 20% of the modern carrier fleets. The modern definition is related to their particular cargo, generally unique and free-flowing, but dry contrary to liquid carriers (tankers are the most famous). Until the arrival of the first Container ships in the 1950s, cargo were diversely packed and carried inside wide holds that could receive pretty much any load, but free-flowing ones. The main cargo shifting problem obliged to compensate for the internal mass displacements in case of excessive roll. So bulkhead and ballasts systems were devised to compensate. Bulk cargo could also threatens a ship through spontaneous combustion, and cargo saturation. Bulk was transported the slow way, inside sacks stacked onto pallets, deposited by a crane. The pallets and nets ensured a stability of the load, but the time required for that procedure and materials needed were clearly a problem. In alternative plywood bins purpose-built were installed into the hold, while the cargo was guided through small hatches by wooden feeders and shifting boards. But this was also labor-intensive and costly. After specialized bulk carriers, the first self-unloader was the lake freighter Hennepin in 1902 on the Great Lakes. 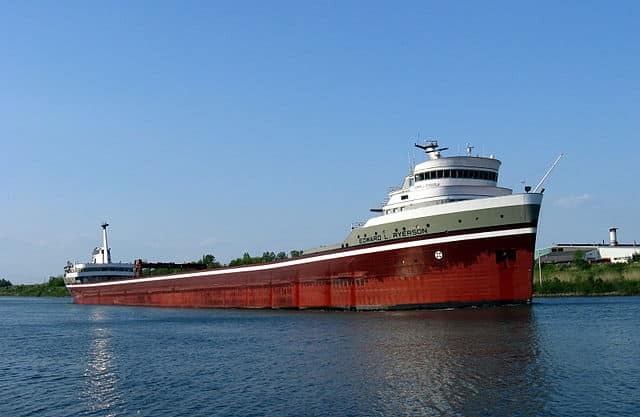 Lakers long has been special vessels and bulk carriers became almost the norm, notably to carry grain from the great plains or metal ore from the northern mines to the steel mills. They used conveyor belt to move the cargo. The double bottom was adopted in 1890, the triangular structure of the ballast tanks in 1905, and diesel appeared from 1911. 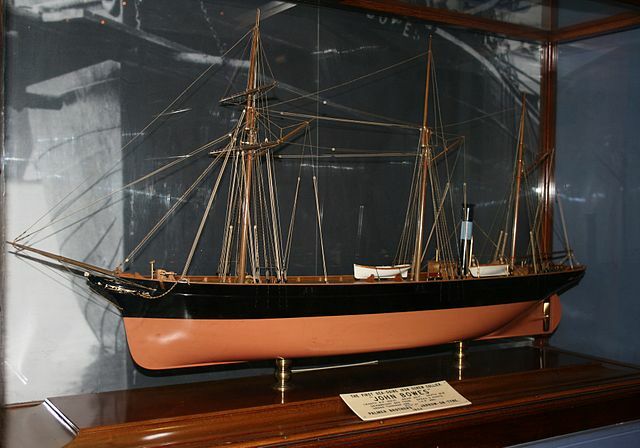 The first recorded, purpose-build bulk carrier was the SS John Bowes (1852). Built by Palmer Brothers & Co, Jarrow for Charles Mark Palmer, in Newcastle, this was a mixed ship but steamer-first (three masts), which made its maiden voyage in 27 July 1852, and was foundered off Ribadesella (Spain) in 12 October 1933, after being completely refitted in 1864 and 1883. -Fully constructed of steel, its rigidity seemed to ensure a long life. -Steamer (although it could be rigged in schooner), it ensured a good regularity of service. -More importantly displayed additional ballasted holds for seawater, making operation quick and safe. The latter were longitudinal iron tanks beneath each hold, added in 1853 after tried many solution. In her long active life, the Bowes transported coal, and other goods under Scandinavian flag (Spec, Transit) and Spanish (Carolina, Valentin Fierro, Villa Selgas). This bulk carrier originally chartered by the General Iron Screw Collier Company, saved time and was very profitable for his owner. She was quickly imitated and became a standard. propulsion : 2 steam Reciprocating TE 2,35 hp, one screw, 9 knots, new engines in 1864 and 1883. Capacity: Carried 650 tonnes of coal with a loading/unloading speed superior to two sail coalers of the time. fall 1800s/early 1900s tall ships built in metal, with hydraulic winches and steam-operated rigging, were often bulk carriers by default. The numerous masts were a liability to load and unload cargo, and the load itself was not profitable enough to use a voracious steam engine with its large coal supply. So the most glorious and noblest ships to ever roam the seas were used to carry dirty charcoal or guano, the lowest, cheapest crap around. So were the last tall ships, like the legendary 3-masted barque of the Pamir class (1905), five masted barques France II (1911) and R. C. Rickmers (1907) or the fantastic Thomas L. Lawson, the only seven-masted schooner ever. What if the Thomas Lawson has been preserved, would it be profitable now ? Is it the way forward ? Until 1914, this type of steam-only ballasted ship was predominant, faced with a traffic still largely populated by tall ships in iron. In 1905 alone, about fifty of these steel vessels were launched. 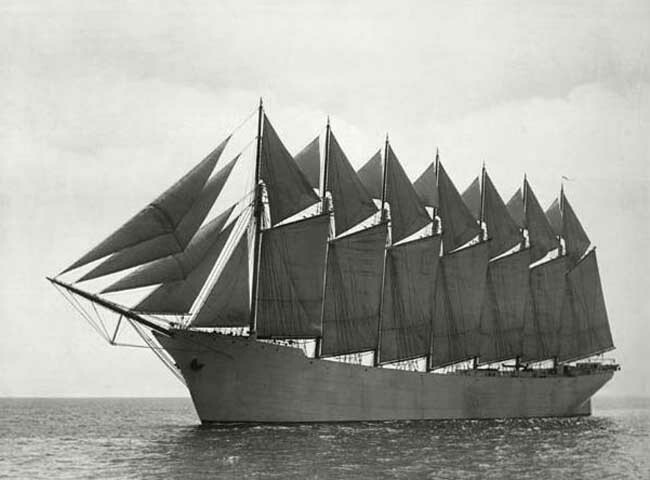 The sail seemed still profitable for many shipowners, used on certain segments of shipping (to spare coal). Progress would be slow with new devices to open and close the holds, new hoists to ease maneuvers, new ballasting systems. In 1914-18, maritime traffic, British in majority, was the victim the U-Boat total war launched by the German Empire from 1917. The number of sunken sailboats increased sharply, particularly because of their slow speed and inability to evade U-boats. Steamers as well as tall ships paid their share. In 1917, the admiralty faced so much losses it was decided to launch a massive shipbuilding plan for standardized freighters. These standards ships (type A to J) defined by the Emergency Fleet Corporation (EFC) still constituted about half of the shipping in 1939. Most were “regular”, universal carriers able to carry any packed cargo as well as bulk in their large holds, thanks to their ballasts. 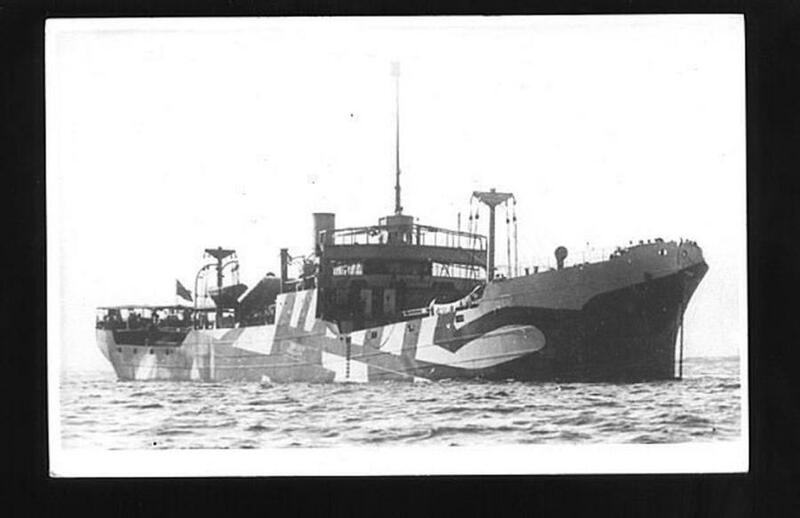 But they were also specialized bulk carriers, generally of smaller size. Indeed before the war, the need to transport about 25 million tons for metal ores was filled by generally coasters of relatively small size with the exception of the “lakers”. The battle of the Atlantic cost for shipping was also considerable, for the British fleet in particular until the US entered the fray. 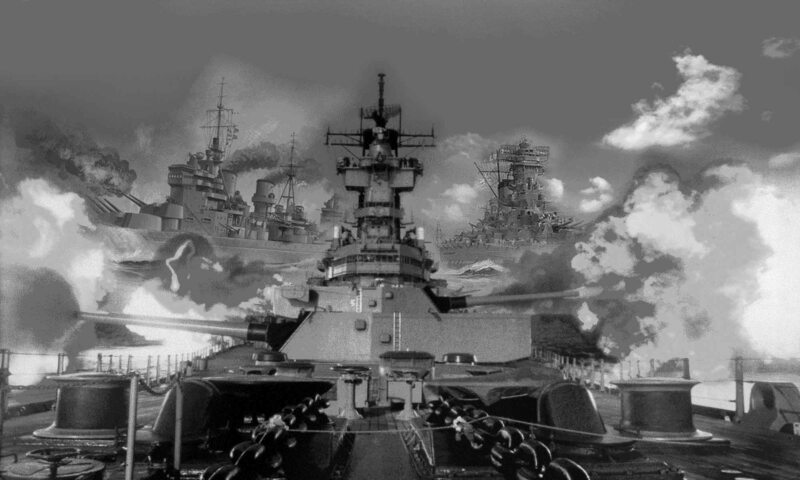 Losses reached an all-out peak in late 1942, before convoys systems improved, new specialized ships arrived en masse, and crucially new standard carriers were built, notably the famous Liberty-ships. But not too many bulk carriers were built. This was compounded by the conversion of many Merchant aircraft carriers (MAC), which retained their cargo (at least partially) while offering self-defence capabilities. Model kit rendition of a wartime MAC ships of the Empire Mac Alpine type – Royal Museum Greenwich. These ships will be treated in a post later. 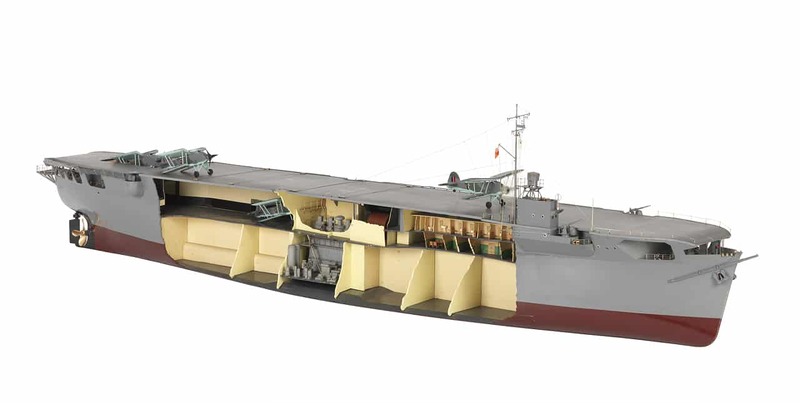 Newly-build grain ship (Empire class) based on the Ministry of War Transport’s standard accommodated Admiralty’s flight deck design and were 390 feet (120 m) long for 62 feet (19 m) large and later 413 and 424 feet (126 and 129 m). Most has been spared and were reconverted to their first role after the war. “Laker” Edward L Ryerson, a bulk carrier tailored for the American great lakes, very distinctive with their “two island” configuration far apart fore and aft and the cargo in between. In 1950, the first container ship, Ideal X, revolutionized cargo transport forever. Despite of this, old style cargo carriers served for many more years (until the late 1980s) and the bulk carriers persisted, helped in particular by new self-loading systems, ballast systems, and larger construction. In fact the last ones almost reached supertanker standards like the Berge Stahl. This bulk carrier is a monster. With its appearance of supertanker, it seems promised to transport heavy liquid bulk and was actually built in South Korea (Hyundai) in order to transport iron ore. Launched in 1986 on behalf of Norwegian shipowner Bergesen Worldwide Gas ASA, it could only unload at Europoort, Rotterdam in Holland and the Marítimo Terminal in Ponta da Madeira in Itaqui, Brazil. It currently retains the record for a coal carrier, and that for a bulk carrier. The only larger “cargo ship” is currently the container ship Emma Maersk. Yet, like its ancestor of 1850, this giant has all its length reserved for the payload, its castle and crew, propulsion being at the extreme rear, and being ensured by a single propeller of 9 meters in diameter. Like the John Bowes, her return crossings are empty on ballasts filled with seawater. Their desalinate process and holds cleaning is part of such ship’s daily life at anchor. Dimensions: 342.1 meters by 63.5 m by 23 m of draft. Propulsion: 1 Hyundai Diesel of 27610 cv for a single propeller, 13,5 knots. Capacity: A load of 364 768 tons of iron ore.
First called Vale Brasil she is own by Vale Shipping Holding Pte. Ltd, Singapore. Built by Daewoo she is a true monster, larger than the Berge Stahl and Bold Challenger at 198,980 GT, 67,993 NT, 402,347 DWT, 362 m oa (1200 fts), by 65.0 m (213.3 ft) and 23.0 m (75.5 ft) (moulded) draught. She has a fiex ptched propeller, moved by a by MAN B&W 7S80ME-C8 (29,260 kW) and three uxiliary engines Hyundai-HiMSEN 6H21/32 (3 × 1,270 kW). Top speed is 15.4 knots (28.5 km/h; 17.7 mph) and crew 33. 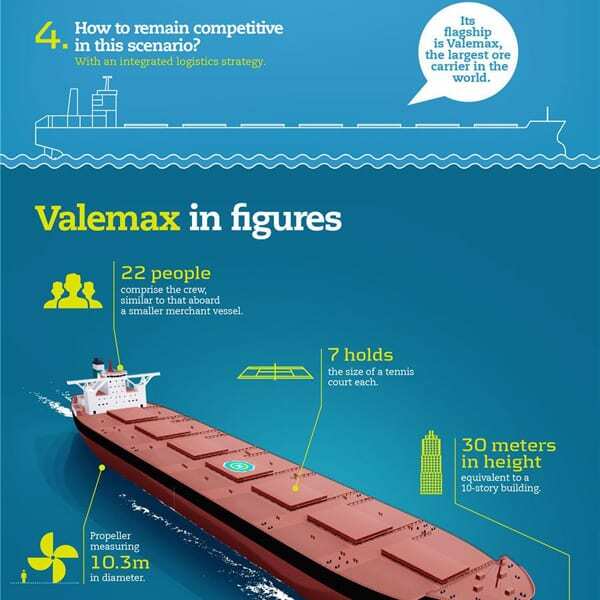 There was a controversy about this new class of ship called “Valemax” size, ordered by Vale with a deadweight tonnage of just over 400,000 tonnes, too much for most Chinese harbours. In consequence this was slimmed down to 380,000 tonnes, but only on paper. As a result they are not loaded to full capacity. Most large bulk carriers have 5 to 9 holds and are equipped with cranes between each hold, this for the less equipped ports. Some are called “self-discharging” and have a lateral strip loading system (“grasshopper”). Others are said to be “gearless”, devoid of any unloading equipment and entirely depends on well-equipped harbors. These are the most economical. There are also relatively complex OBOs (Ore Bulk carriers), BIBOs which are responsible for packing the bulk during the voyage, and finally types of specific bulk carriers such as those of the great American lakes and the “barges” Bulk carriers “. So this type would probably live on for decades, as long as containers are not used to carry bulk (which is a real possibility) so to standardized even more shipping.